If you have any questions about the ADLER information page below please contact us. 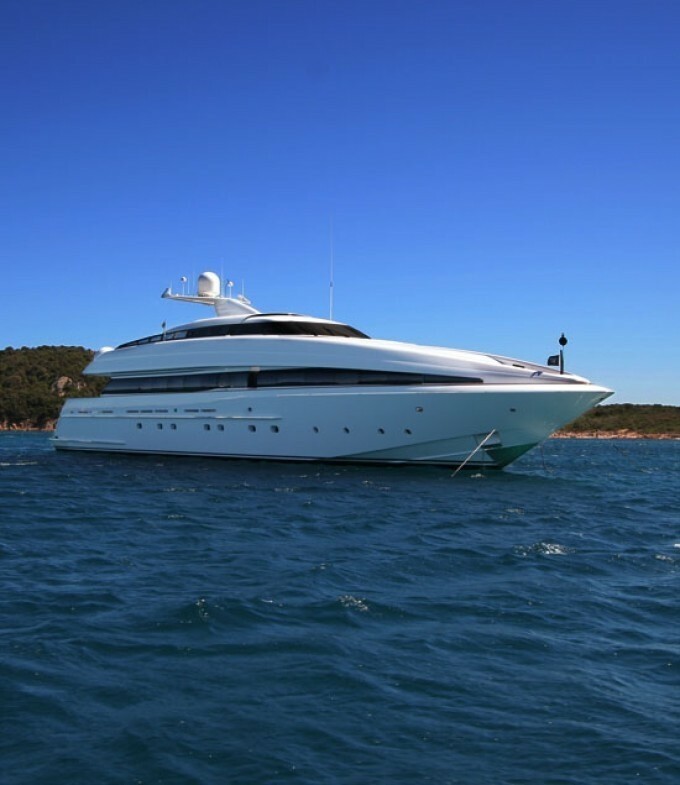 This 41 m (136 foot) luxury yacht was developed at Lauderdale Marine Center in 2005. Motor Yacht ADLER is a large superyacht. The naval architect who actualised this yacht's plans and general arangement on the yacht is Gary Grant. 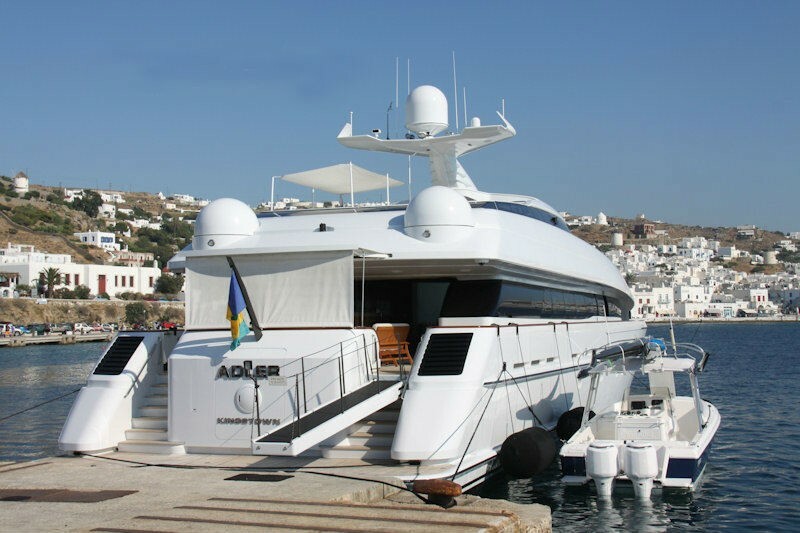 Luxury yacht ADLER is a handsome yacht that is able to sleep a total of 10 passengers on board and has around 7 crew. The team at Gary Grant [AMS] Ltd designed this yacht, named after "eagle" in German. Power is from twin Paxman 18VP185 18-cylinder diesels producing 5247 bhp [3912 kWb] each and driving KaMeWa 71 series waterjet pumps. The hull geometry is a monohedron semi-V with 15.5-degrees of deadrise midship with all hull surfaces convex in form for enhanced rigidity and strength. A primary design requirement directed by the Client was that all normal deck-fitted equipment be hidden from view for both aesthetic and aerodynamic reasons. Thus, one cannot observe the radar antennae, the jet skis or tender, horns, spotlights or the two satellite domes. Gary Grant was the naval architecture company involved in the technical vessel design work for ADLER. Also the company Gary Grant expertly worked on this undertaking. 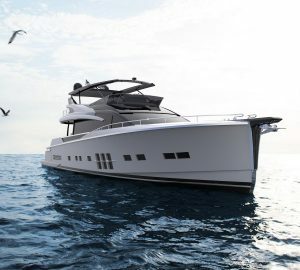 the United States is the country that Lauderdale Marine Center built their new build motor yacht in. After her official launch in 2005 in Fort Lauderdale Fl the boat was released to the proud new owner following final finishing. Her main hull was constructed with composite. 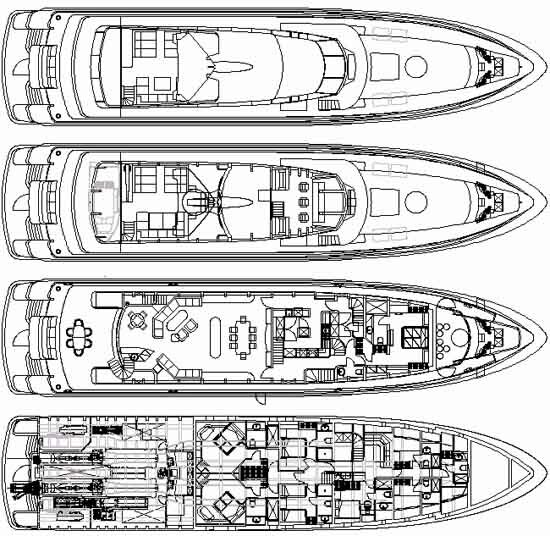 The motor yacht main superstructure is made largely using composite. With a beam of 8.7 metres / 8.7 ft ADLER has fairly large room. 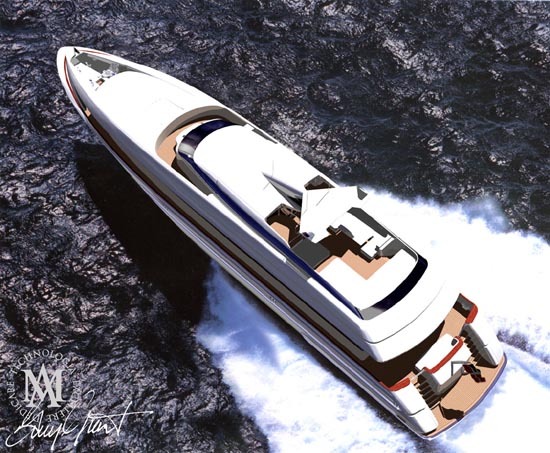 The 18V P185 engine installed in the motor yacht is built by PAXMAN. The engine of the yacht gives 5243 horse power (or 3912 kilowatts). She is equiped with 2 engines. The total thrust for the yacht is thus 10486 HP or 7824 KW. Providing chambers for a limit of 10 welcome guests spending the night, the ADLER accommodates them luxuriously. The boat has room for circa 7 able crew to maintain and sail. The luxury yacht ADLER displayed on this page is merely informational and she is not necessarily available for yacht charter or for sale, nor is she represented or marketed in anyway by CharterWorld. This web page and the superyacht information contained herein is not contractual. All yacht specifications and informations are displayed in good faith but CharterWorld does not warrant or assume any legal liability or responsibility for the current accuracy, completeness, validity, or usefulness of any superyacht information and/or images displayed. All boat information is subject to change without prior notice and may not be current.